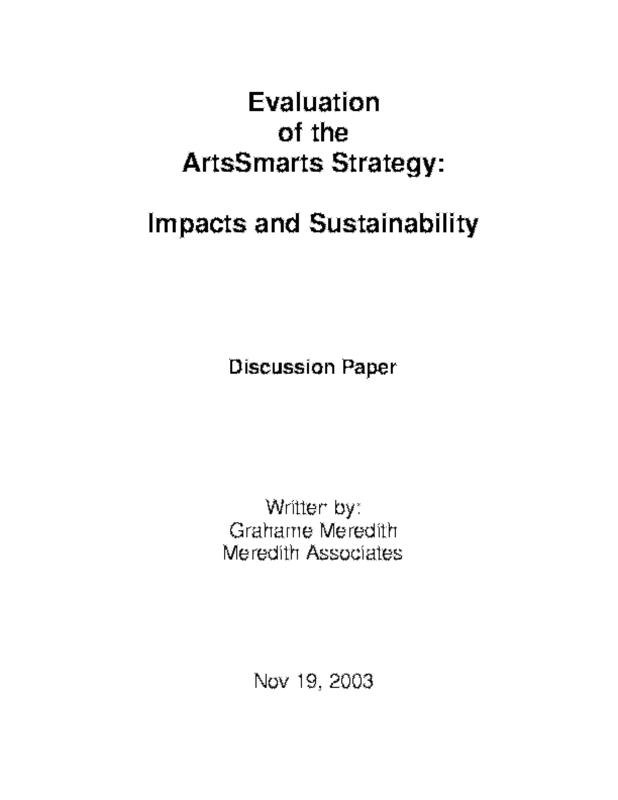 The purpose of this report is to provide: 1) an analysis of findings from a survey, interviews and focus groups regarding ArtsSmarts projects funded by the J.W.McConnell Family Foundation across Canada in 2002-2003 and 2) to support advocacy work to obtain long term funding and support for sustainability of the ArtsSmarts approach. The report focuses on the impact of the projects on students, the education system, the community and the arts community addressing key "spheres of Influence" in the educational system. Copyright 2003 ArtsSmarts. All rights reserved.